Nevada County protesters descended upon downtown Grass Valley Thursday evening, to show their concern for the firing of former U.S. Attorney General Jeff Sessions by President Donald Trump. 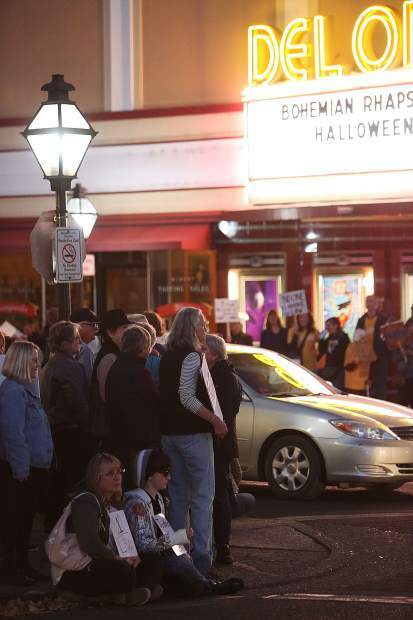 About 100 protesters showed their discontent of the firing of Jeff Sessions by holding signs, singing songs, and garnering support from passing vehicles. 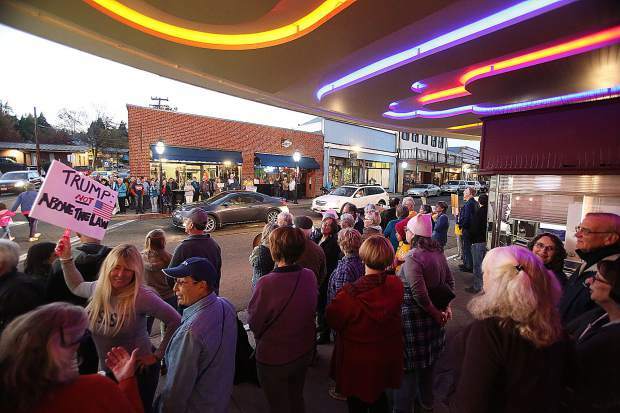 A large crowd gathered near and around the Del Oro Theater in downtown Grass Valley during Thursday evening's protest regarding the firing of U.S. Attorney General Jeff Sessions. 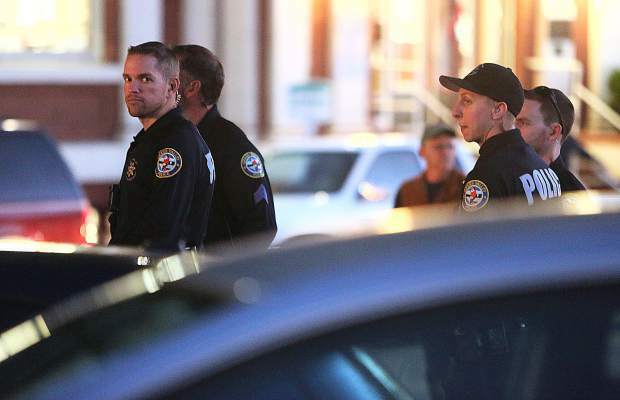 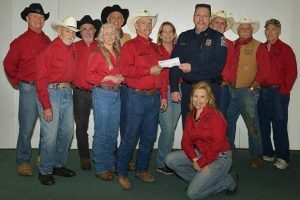 Members of the Grass Valley Police Department were on hand to make sure that Thursday night's protest remained peaceful. 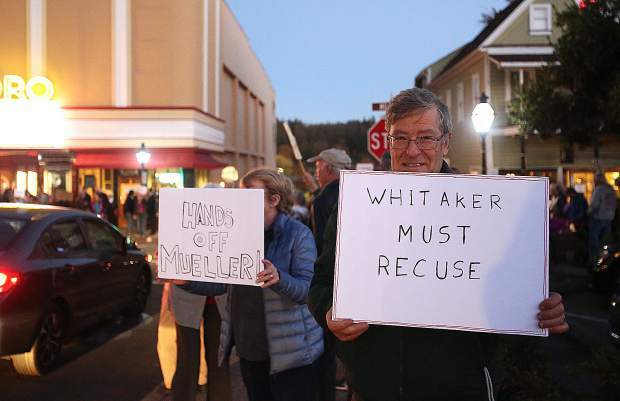 Signs call for newly appointed U.S. Attorney General Matthew Whitaker, to recuse himself from making any decisions over the special investigation into alleged Russian meddling into the 2016 election. 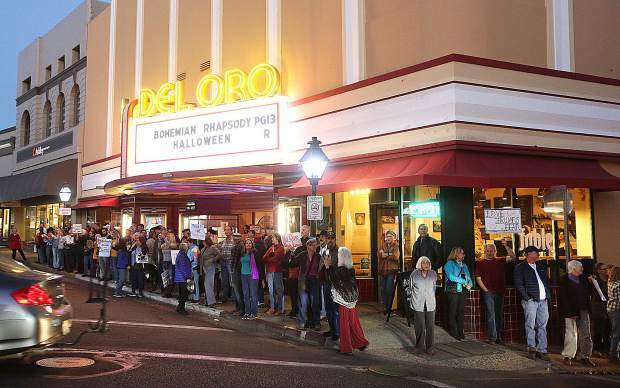 Folks hold signs around the intersection of Mill and Neal Streets in downtown Grass Valley. 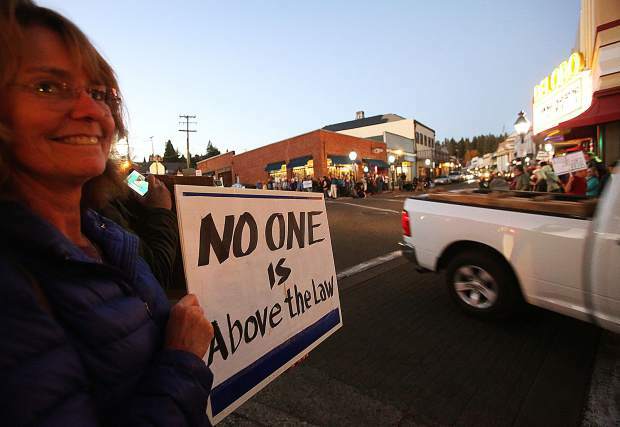 Nevada County protesters descended upon downtown Grass Valley Thursday evening, to show their concern for the firing of former U.S. Attorney General Jefferson Sessions, by President Donald Trump. 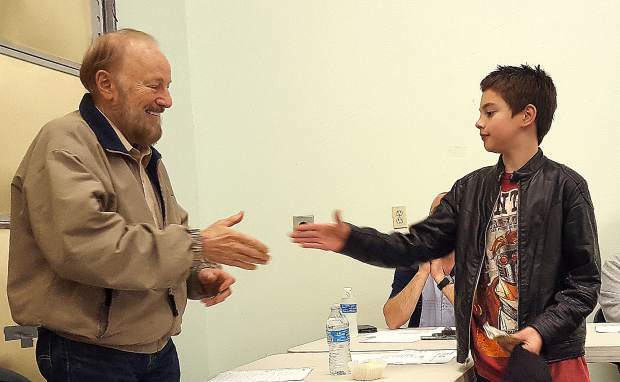 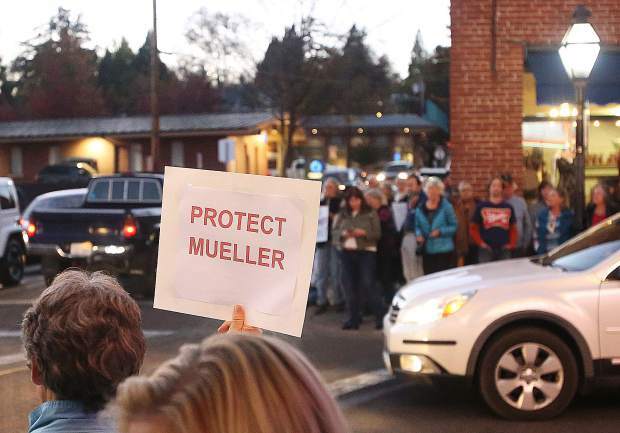 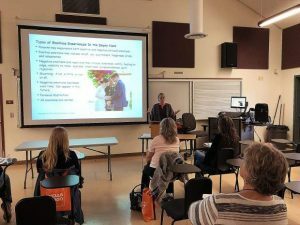 Grass Valley's showing of opposition joined hundreds across the country that demand Robert Mueller's investigation into Russian meddling in the 2016 election, remain intact. 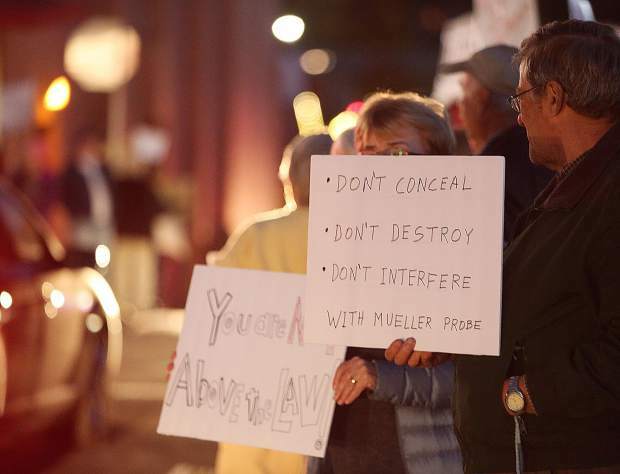 A large crowd of Nevada County residents descended upon the intersection of Mill and Neal Streets Thursday evening, to join a nationwide protest surrounding the firing of U.S. Attorney General Jeff Sessions following Tuesday’s mid-term elections. 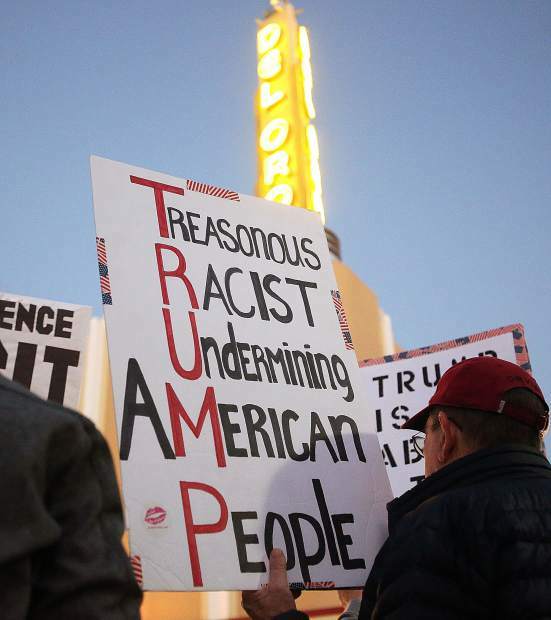 Many across the country feel that the decision to replace Sessions with Matthew Whitaker, is a ploy to undermine a special counsel investigation — led by Robert Mueller — into alleged Russian meddling during the 2016 election.